A segment of BPA's utility lines where groups are asking that a transmission fee be dropped. What can bring supporters of wind and coal together? A push to drop the cost of moving power across a small eastern Montana segment of the Bonneville Power Administration's 15,000-mile network. Currently, there's about a $2 fee per megawatt hour to use a 90-mile portion of the public utility's network that runs from Townsend to Garrison, Montana. That fee, added to the normal network charge, could make a huge difference in the bottom line for companies using that line, argue groups that want the BPA to drop the fee. Most of the capacity on that segment is used by the Colstrip power plant east of Billings, but 184 megawatts have been unused for more than three decades, something politicians on both sides of the aisle in Montana and Washington point to as a sign that the fee should be dropped to encourage more development and use of that line. But BPA Administrator Elliot Mainzer opted to keep the fee in place in a draft of the rates to be charged next year that was released last week. Supporters of wind development, including the Sierra Club and Renewable Northwest, want BPA to take another look at the fee before the final draft is released in late July. "For Montana to remain an energy exporting state," a critical achievement "is for them to be focusing their attention on where they have a product their West Coast buyers want: that’s wind," says Doug Howell, senior campaign representative with the Sierra Club's Beyond Coal Campaign. "This fee is a barrier to wind development," Howell says. "If we can knock that out, we have a much better chance." Though it may sound small, a $2 fee per MWh can be the tipping point to make a project affordable or not, Howell says. "I think this is a case of an agency that either doesn’t know about the challenges Montana faces in transitioning our energy economy, or doesn’t care," says Jeff Fox, Montana Policy Manager for Renewable Northwest, a nonprofit that advocates for renewable energy projects. Wind can cost between about $30 and $60 per MWh, but tax credits and economies of scale can push those prices even lower, Fox says. "What Bonneville basically has said is $2 a megawatt hour for wind product is inconsequential, and would not be determinative of whether a wind farm would be built in Montana," he says. "Which is ... factually untrue, because these days you can get a wind farm with production credit down to around $20 to $30 a megawatt hour." At those rates, the fee would increase costs by about 7 to 10 percent, he says. But in BPA's draft rate case, the utility argues that the fee would be negligible, closer to 2 percent of the cost per MWh, based on what's called the "levelized cost of energy." "While eliminating the (rate) may have some marginal benefit to Montana wind development, the record in this proceeding does not demonstrate that it would be a significant benefit or that the (rate) is an uneconomic rate preventing development," BPA's draft states. "First ... the $2 per MWh charge added by the (rate) is negligible compared to the levelized costs of new wind resources in the region, which would have a levelized cost of energy between $94 and $110 per MWh." An interesting piece of the puzzle here is that BPA gets paid whether the extra capacity on that line is subscribed to or not, Fox says. "There is a provision in the contract that those Colstrip partners signed that says they will cover the entire revenue requirement of the Montana Intertie Rate, no matter how much energy flows across it," Fox says. "Bonneville is held harmless here; they get their money either way. Who ends up paying more is all those Colstrip partners." If BPA were to sell the remaining portion, Colstrip partners would pay a little less to use the system, Fox says. For its part, BPA says it supports renewable energy development and is willing to study how to get wind and other types of energy onto its system. "We’ve always been supporters of economic development in the area, including in renewable energy," says Sarah Burczak, a BPA spokesperson. "We helped integrate wind in other areas. 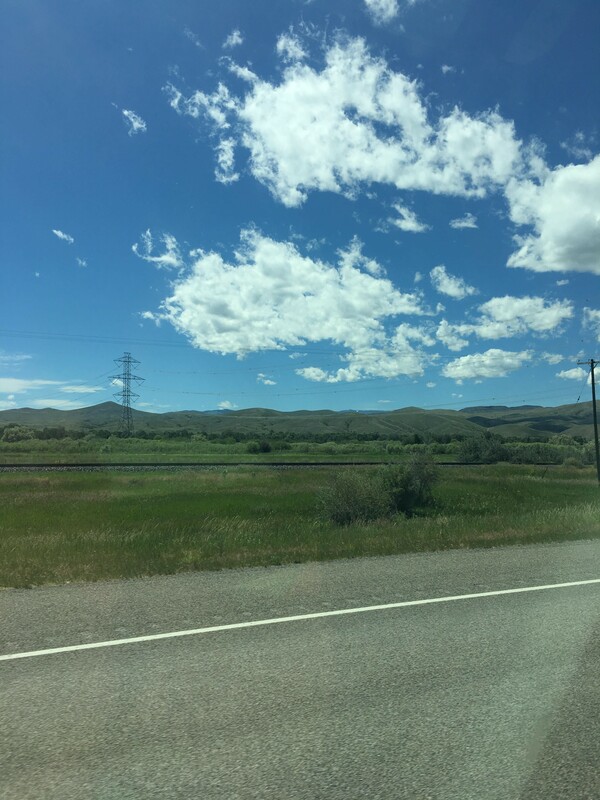 One of the things we see is the rate is not the only barrier to integrating wind onto the line in Montana." The utility wants to take a "comprehensive look at risks and costs" of bringing wind into service there, through a process that would start after the current rate case is wrapped up, Burczak says. "One of the things I don't want to get lost here is the magnitude of the outpouring of public support across the Northwest that really demonstrated clear support for eliminating this," Howell says. Montana's Republican-led House of Representatives passed a resolution in support of dropping the fee on that line in April, Washington's Democratic-led House did the same with a joint memorial in February. Others have sent letters supporting dropping the fee, including Montana Governor Steve Bullock, Montana's Public Service Commission, labor unions, and three Democratic U.S. senators — Maria Cantwell (Washington), Jeff Merkley (Oregon) and Jon Tester (Montana).